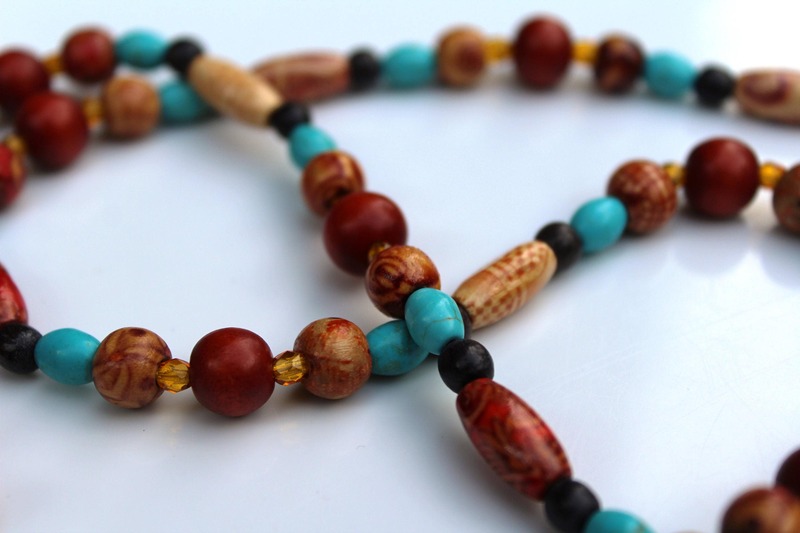 34 inches of shades of brown, red and turquoise - boho style! You will just love this one. 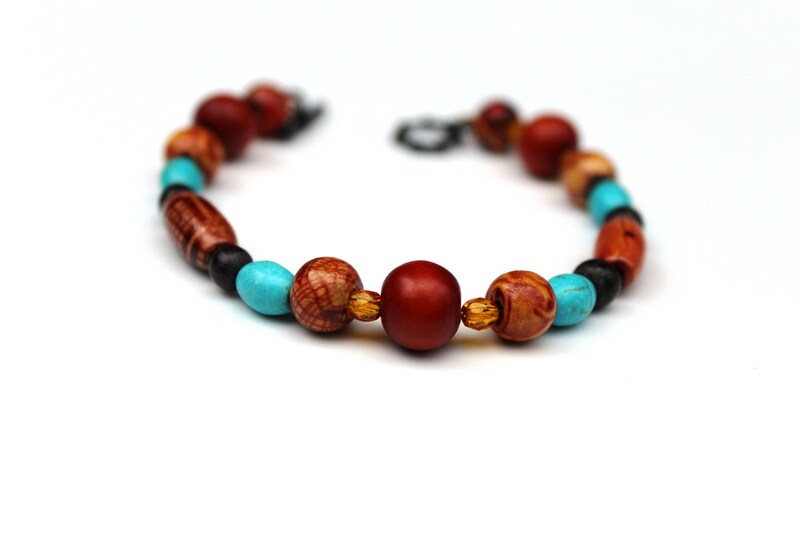 The wood beads are hand painted, so they vary in decoration and color. 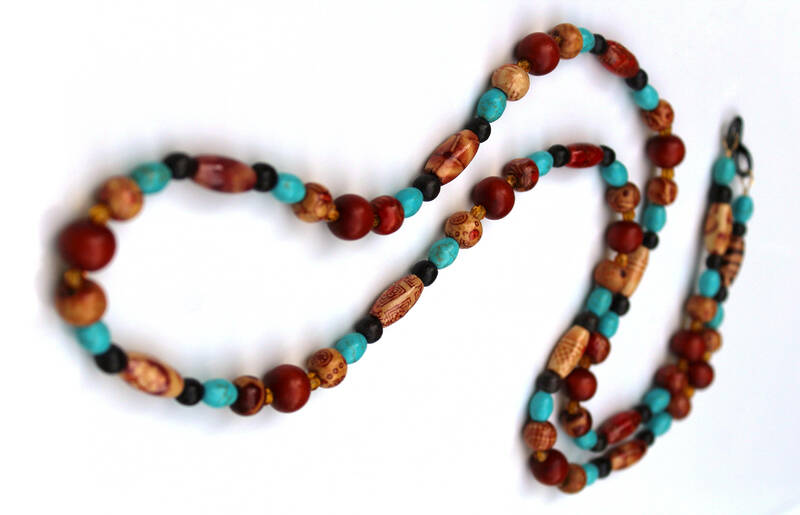 It's a perfect combination of a pattern, though the beads are not exactly the same. So fun! This necklace is meant to be placed over the head. There is no clasp. The ends are finished and secured with a ceramic infinity loop. Please note: The last two pictures show a matching bracelet. The pieces can be purchased as a set, or each piece can be purchased individually. The bracelet in the pictures is 8 inches long. I have a fairly small wrist, and this bracelet fits me well (with some wriggle room). 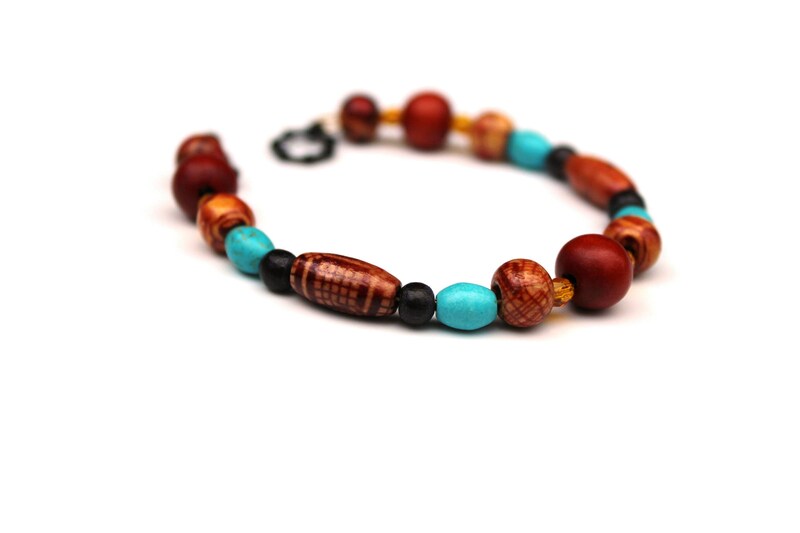 Because the round beads sit higher on the skin, the added length is needed. If you have any questions or concerns about what size bracelet you would need, or if you need a different size, just contact me! I'd be happy to help. 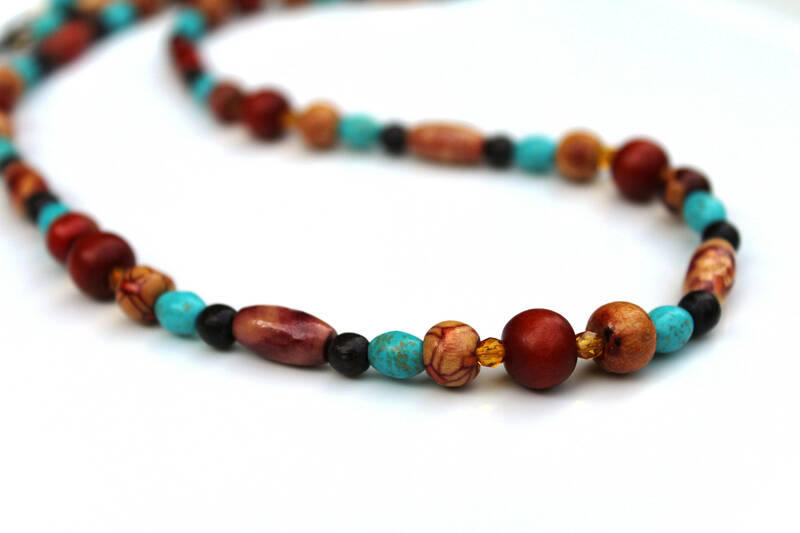 Again, the wood beads are hand painted, so your necklace may vary slightly from the one shown. Beautiful hand-painted necklace! I absolutely love it - gorgeous workmanship and artistry.